Without “promotion” your post is as dead. Come on, no matter how much exclusive research you did before creating your post, if the right people don’t see it, you have no reason publishing it in the first place. Yes content creation is the holy grail of digital marketing. Everyone knows the importance. In fact, 88% of marketers who weren’t serious with content in 2015 produced even more in 2016. But being the holy grail doesn’t mean that content alone will get you leads, increase your sales and revenue. You’ve got to push it out there for the world to see. “Build it and they will come” is a forgotten mantra. I hadn’t started blogging when I heard it worked. In today’s crowded blogosphere everybody are looking on how to start a blog and start making money. So you need to work both harder and smarter to get significant results. That’s why you need to ditch some of the marketing strategies that you know, and stick to these 7 advanced ones. They’ll blow your mind, and get you results – guaranteed. A smart blogger will persuade both influencers and readers. Ultimately, answering readers’ questions will inspire them to read on and tell others. But when it comes to influencers, you need to tap into their inherent desire: Ego. If you want influencers to share your blog post, take your eyes off the post, and focus on what they want. Influencers may not buy into your content, but they can’t resist your story; the message. 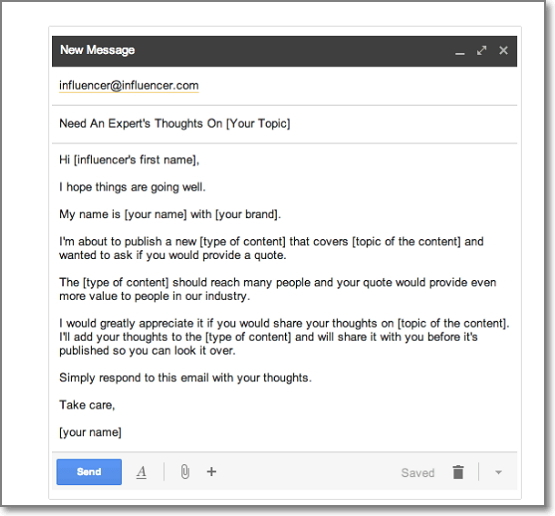 An effective way to capitalize on influencer’s ego is to quote them in your blog post. Here’s what you need to know: quoting influencers turn them on. It’s simple. Before you create the post, reach out to an influencer that you respect and value their work (e.g., content, book, presentation), and ask them for a quote. Unfortunately, most bloggers make the mistake of quoting different influencers randomly. 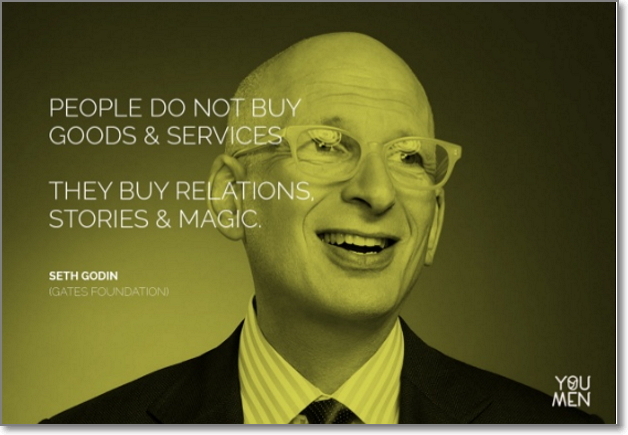 Trust me, influencers may not like it, because where you got the quote matters. And the circumstances that led to that quote may have changed. The influencer may no longer be proud of an old quote that he left on his book, post, or presentation. So write a friendly email and ask for their latest relevant quote. Better yet, ask for their opinion in the topic you’re about to cover. After publishing the post, notify the influencer and kindly ask them to share it. Worse case scenario, you’ll get a “NO!” Don’t be afraid to ask. I’ve been doing it since 2012 to get quality links, easily. It works. Unfortunately, there was no way to do it, except the boring, archaic, and seemingly daunting Twitter sharing button. To create these tweetable snippets, you can use Click To Tweet. It’s a handy tool for this job. Let’s assume you want to share your latest post on your Facebook page, do you have any strategy to get your fans to re-share it? Perhaps you’ve never thought of that. A research study that was published on the New York Times shows that when people are motivated, the inspiration to take action will be borne. 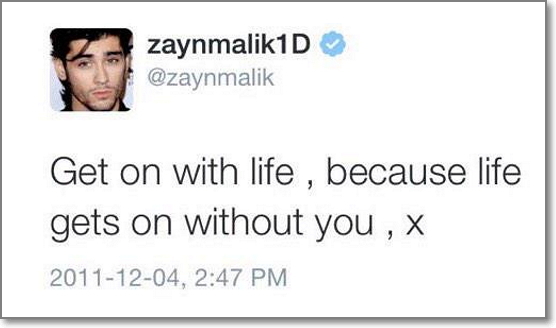 Here’s a tweet from Zayn Malik that would motivate followers to retweet and help someone else, who is depressed, rejected, or in pain. You can use the M.I.A. formula in creating your posts too. Motivate first. And get readers inspired to share your post. By the way, Eben Pagan invented this formula and he’s been using it to launch multimillion dollar digital products. If you want your post to be interactive, ask more questions. The more questions readers come across, the more efforts they will put into your blog. 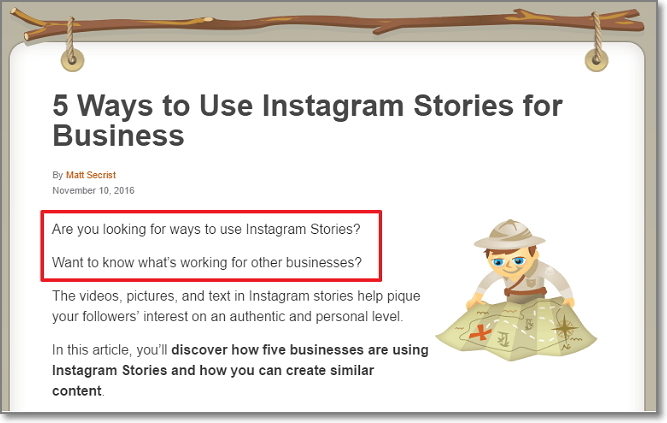 The authors at Social Media Examiner begins their all of their posts with a question. 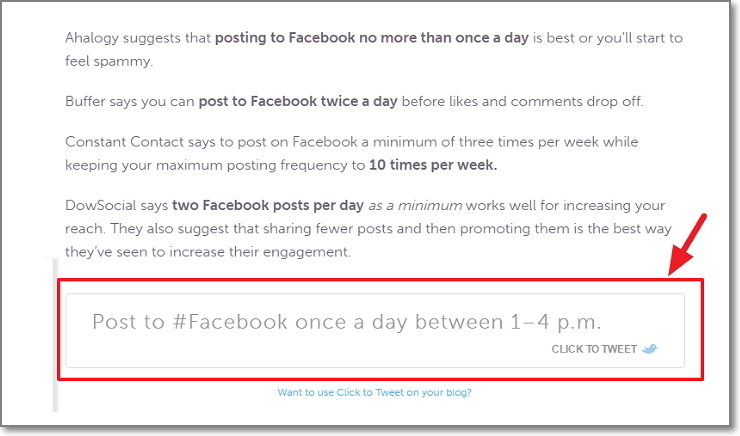 And each post generates well over 200 social shares, and a lot of inbound links. As much as you can, minimize the use of periods in your post. You see, effective blog promotion begins at the point of creating the post. If the post is great, with a little effort, thousands of people will share it. But if the post is generic, unhelpful and lacks proper formatting, no matter how much money you set aside to promote it, it will likely fail. You’re familiar with guest blogging, right? I would assume that you’re linking to your homepage or internal pages. Which is great. But you see, if your guest post is not closely-tied or related to your homepage or the page you referenced, the purpose of that guest post has been somewhat defeated. So always link to a dedicated landing page. 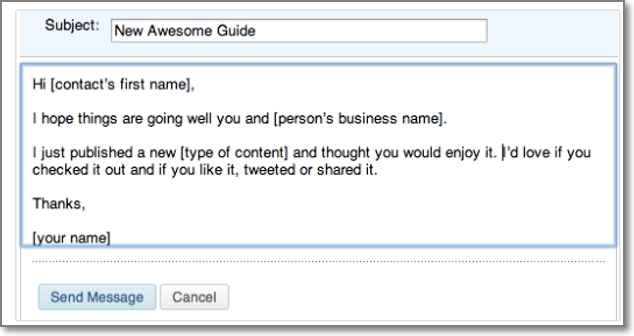 That way, you’ll send visitors to a page that complements the guest article they read. It’s the quickest way to get more subscribers. So if for example you wrote a guest post titled, “How to Acquire Customers For Your SaaS Startup,” then you need to create a landing page that’s similar, and give away a highly valuable lead magnet. You can use OptinMonster to grow your email list or search for OptinMonster Alternatives to find a tool that fully fits your needs. You know that influencers are super-busy, don’t you? So how do you get into their inbox, when you don’t even know their email address? But that’s where LinkedIn comes in. Sure you have to have a connection with the influencer first. Once the connection has been established, start building relationship with them. Identify your influencer’s connections and connect with them. That’s a mouthful. Let’s say you connected with Neil Patel. You’ll need to find other people that Neil Patel has dealings with and vice versa, and build connections with them. If you’re a 2nd degree connection, it’s easy to build connection with influencers. When you direct message an influencer on LinkedIn, they’ll get a notification on their email inbox, though, it depends on their settings. Respect the influencer. Let the know that you appreciate the work they do, and how excited you’re connecting with them. Would you like to reach a new audience? That’s a silly question. Of course you do. Then your typical blog posts may not cut it. You may need to turn your blog post into video, and post on YouTube, Vimeo, and other video sharing sites. These popular websites have motivated viewers already. Repurposing your content is one way to breathe new life into an old content. Trust me, we’re experimenting with this already at Buildfire.com. In fact, by this time next week, we should have repurposed our Definitive Guide To Mobile App Marketing, into a series of short, but actionable videos. More brands are doing this. 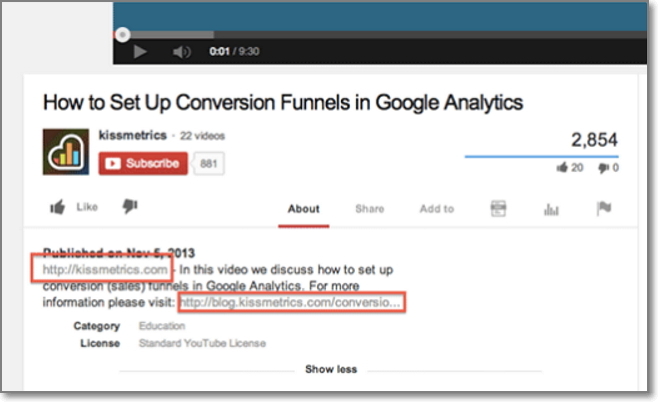 Every other day, KISSmetrics turns their posts into videos to reach an entirely new audience. This has been working for them. You should give it a shot! Sure, these strategies for promoting your blog posts may not be entirely new to you. But maybe you’ve approached them with half-baked approach, and got meager or no results at all. It’s time to give each of them another try. But this time, challenge yourself to work your butts off. There’s no shortcut to blogging success. Be ready to fail and evolve. That’s how to thrive no matter the situation. Now I would love to read your thoughts. Which of these advanced strategies have you used to promote your blog post? About the Author – Michael Chibuzor is the content marketing strategist at Buildfire.com, one of the best mobile app builders out there. If you’re looking to build a mobile app for your business, get started for free.